The background: Nonpartisan, good government organizations in Ohio have proposed a constitutional amendment that would reform Ohio’s redistricting process. With enough support this issue can be on this November’s ballot, so that Ohio’s voters can decide. 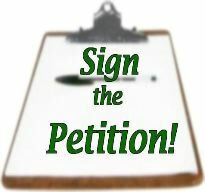 To move forward, we need to gather 386,000 petition signatures by July 3, 2012, and mobilize a statewide educational campaign for the November 2012 election. If you haven't done so already, you need to sign the petition! UAPA will be staffing a table at the Upper Arlington Farmer's Market, beginning this Wednesday, May 16, and continuing on every Wednesday through June 30 from 3:00 to 6:00 p.m. (Note: The Market itself runs through October 10.) The Farmer's Market, held rain or shine, is located at the Upper Arlington Senior Center, 1945 Ridgeview Road, Upper Arington, 43221. For more information, read the FAQ page on our website, and to contribute (even $10 helps), you can make a secure, online PayPal donation here.